For those of you who didn’t know, which is probably most of you, I’ve been in the Caribbean for the last 2 weeks on vacation with hubby to celebrate our anniversary. 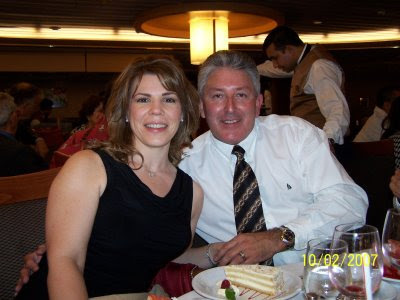 We got very lucky and had mostly great weather the entire time we cruised around visiting places like Key West, Cozumel, Grand Cayman, and the Bahamas. 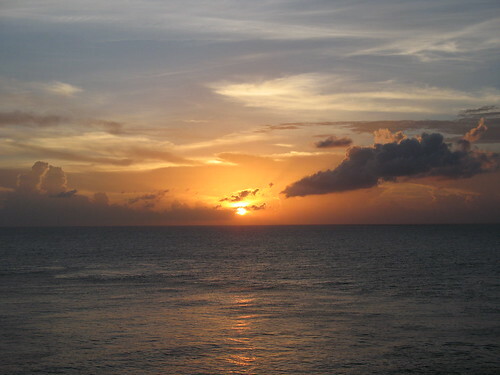 The photo was taken somewhere in the Caribbean during sunset from our balcony. Could anything be more perfect? 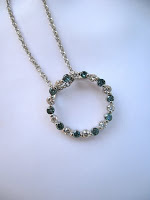 I’m still trying to get adjusted, so blog reading and such will be hopefully caught up on by the end of this week. I can’t wait to see what you’ve all been up to. On Thursday, July 10th, I took another step on the birthday hill and I can see the top so clearly, that I’m ready to start walking backwards. No really, I must admit I’m a bit sad to hit 39 years old, but that’s only because my 30’s have been my best years ever! Since my father’s retirement party was in southern Idaho the day after my birthday, we left on July 8th for our drive from Southern California to Southern Idaho. 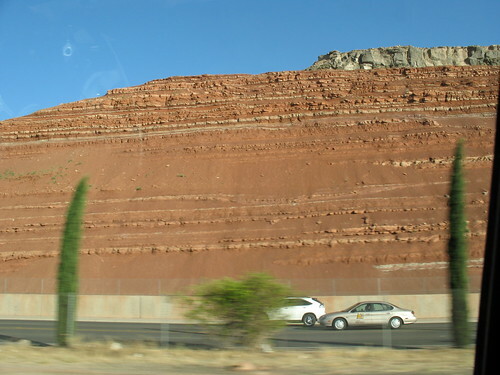 The drive through southern Utah is so beautiful and I just love this red rock that is everywhere. Originally I was very worried about the 14 hour drive to my parents home and since fuel costs are so high, we really couldn’t afford to stop and stay at a hotel. I was especially concerned because with my fibromyalgia, you just never know how a lengthy car ride is going to be. 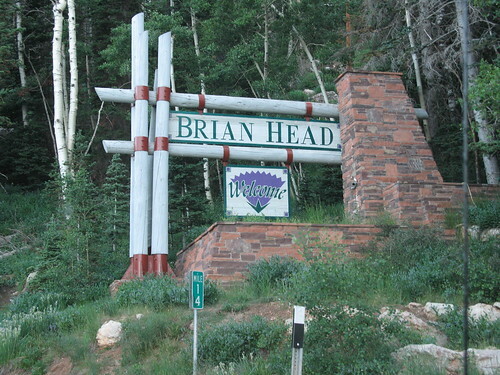 Thankfully, my most amazing friend Laura came to the rescue and allowed us use of her timeshare points to stay at the Cedar Breaks Lodge in Brian Head, Utah. Miraculously the lodge was exactly the midpoint in our trip, so we stayed there the night of the 8th and woke the following day to this beautiful view. 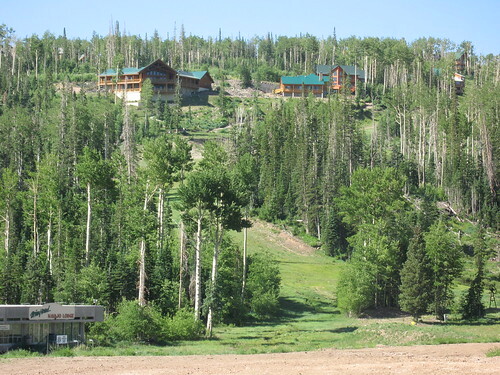 The lodge sits at the base of the Brian Head Ski Resort and I can just picture this all covered in snow. It must be beautiful. 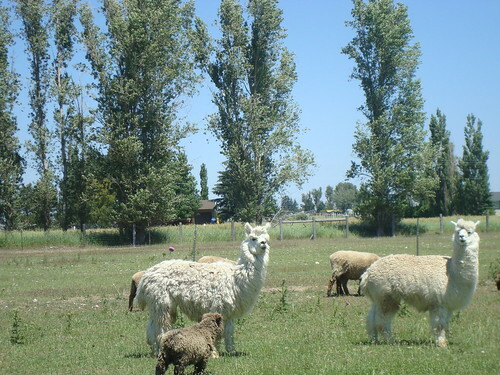 The following day, July 10th, had an auspicious start (that’s a whole other story), but at noon I was surprised by getting to visit the local fiber farm, Hartwell’s Lazy PJ Ranch. 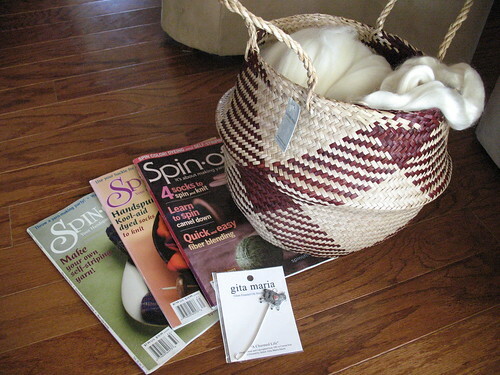 Hubby gave me a card with a bunch of money in it to spend at the fiber farm, and so I got some superwash merino and soysilk fiber, a latern moon spinning basket, some back issues of Spin-Off magazine and a beautiful Gita Marie orifice hook. Of course the batteries on my camera died. So, I was at the mercy of my mother’s picture taking skills. 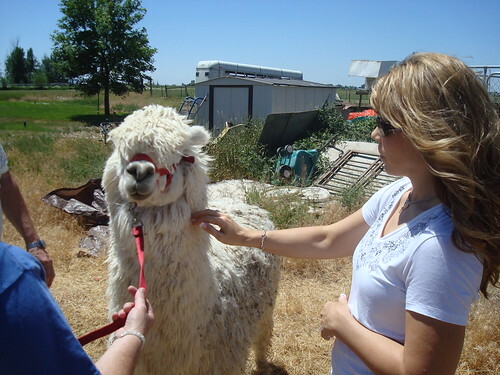 I won’t humiliate myself with showing the photos of my eyes closed and my tongue sticking out, but I do have this photo of me with a suri alpaca. After the fiber farm, we had lunch at the local Mexican restaurant and later that day I received a few gifts. My favorite one was this “cake” my sister made me. It’s a pile of the most delicious chocolate frosting ever with 3 balls of marzipan yarn in the center. I know she was disappointed that she didn’t have time to make me a “real” cake, but she was so busy making the retirement cake for my dad, that I asked her not to make one for me. After that candle was blown out, I asked for a package of graham crackers and scooped up piles of frosting on them. Mmmm …. my favorite. I wonder if the locals in Mexico enjoyed hearing me attempt Spanish as much as I enjoyed hearing the locals attempt English. My favorite word was vacation. When pronounced by a local, it sounded like “bay-kay-she-on”. I probably will forever refer to our vacations now as “bay-kay-she-ons”. 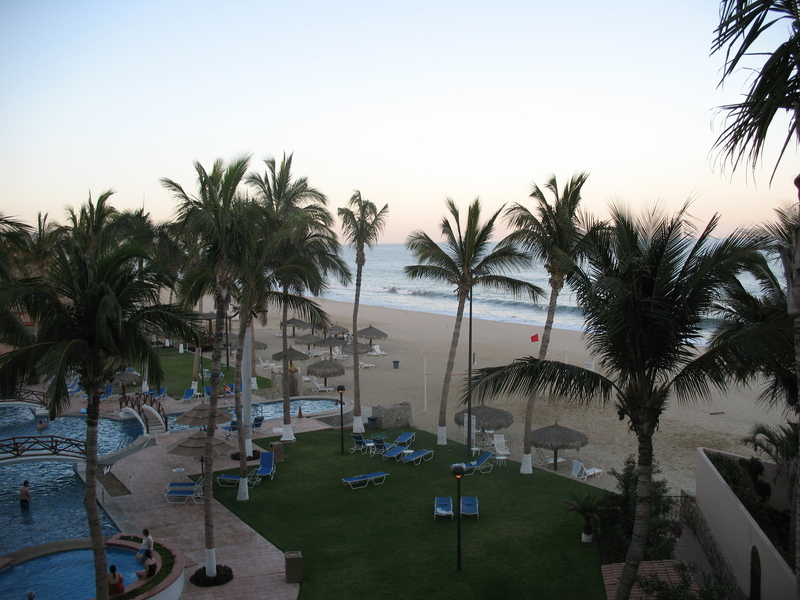 We had a full eight days of fun in the sun in San Jose del Cabo and Cabo San Lucas on the Baja Peninsula in Mexico. 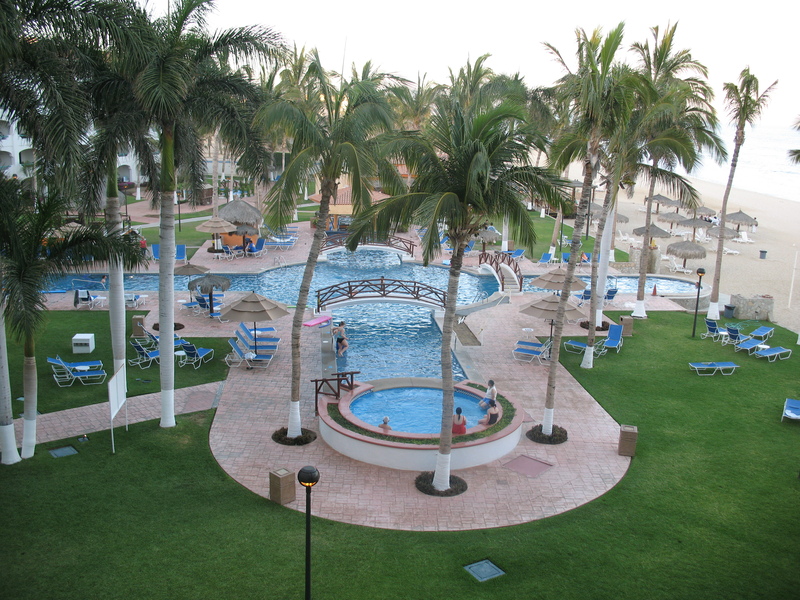 We rented a unit from an owner at the Coral Baja Resort which was recently acquired by Wyndham. We stayed in a one-bedroom unit with a full kitchen and living room, although most of the the time we were only there *sleeping*. Fortunately for us, the other family members staying there had the penthouse, so that ended up being the indoor hang out spot. Day 2: One of the water pipes for the pool burst, so most of the day was spent in the sun waiting for everything to get fixed. Luckily at 3pm everything was in working condition, just in time for the arrival of my step-daughter, son-in-law and grandkids. 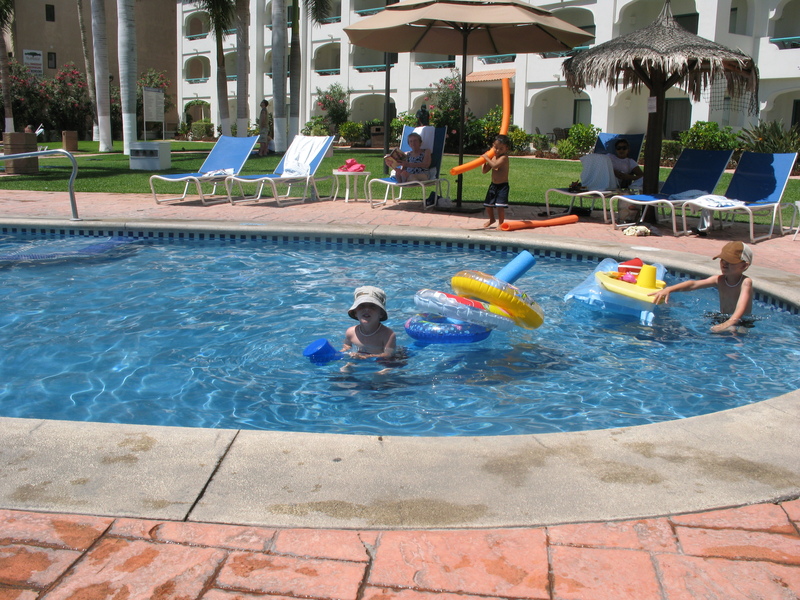 Day 3 & 4: Nothing beats two days at the pool basking in the sun, drinking margaritas, and playing in the pool. 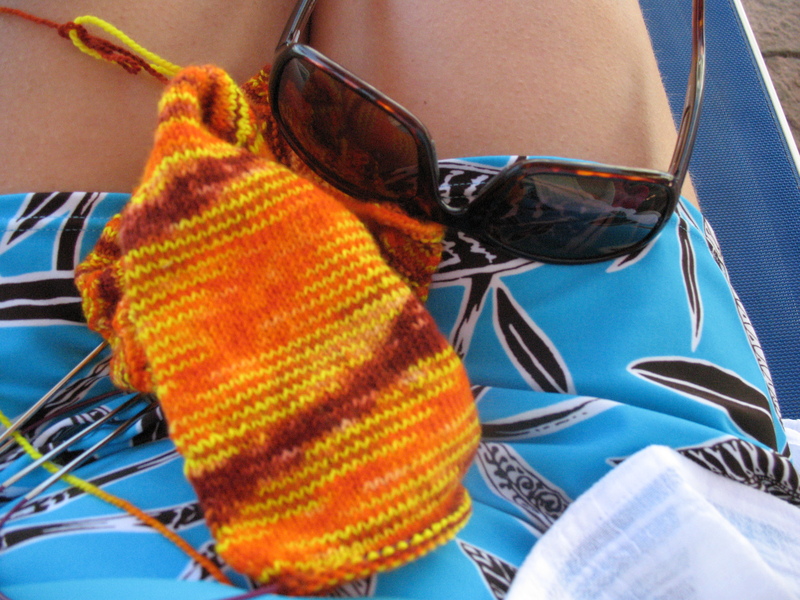 I even managed to get in some sample knitting time under a big umbrella to keep me cool. Day 5: Even though the guys got to spend many hours golfing, that afternoon we hung out at Santa Maria beach. I love this photo. 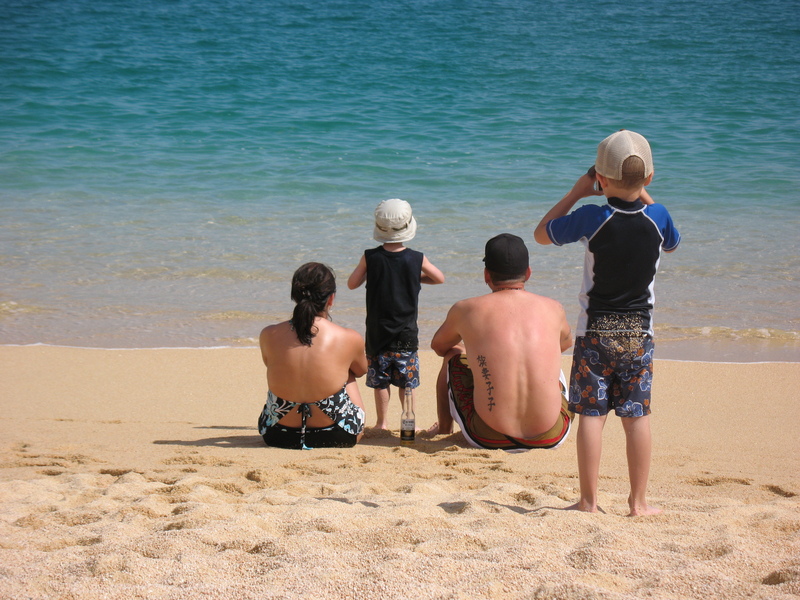 I think my step-daughters family is so cute… even from behind. 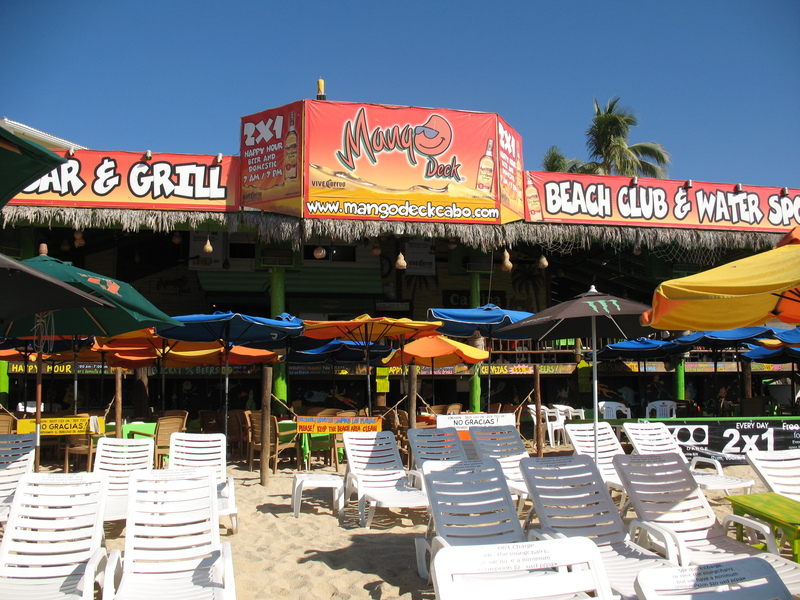 Day 6: We drove into Cabo San Lucas and spent that day at the Mango Deck Beach Club at Medano Beach. 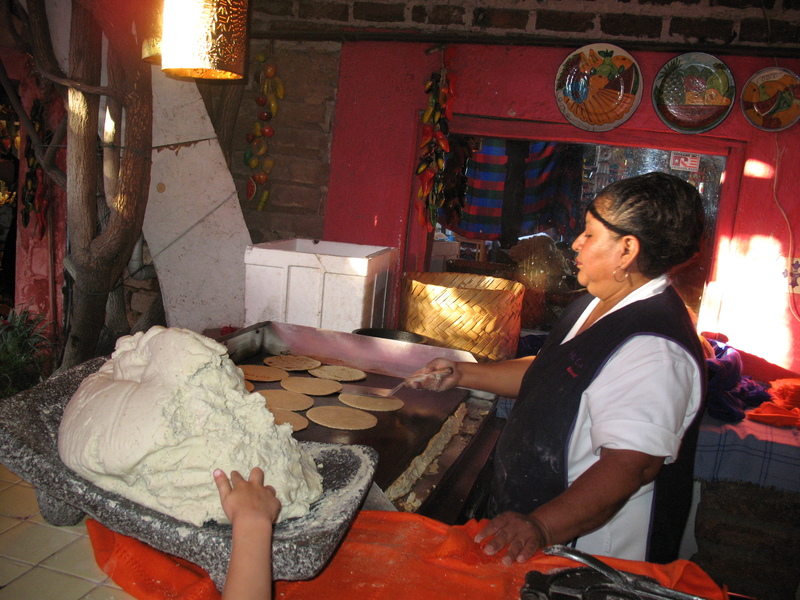 Initially the local vendors that come up to you every 5 minutes asking you to buy their *junk* are annoying, but after a few beers, margaritas, and shots, you don’t really care anymore and somehow you are convinced to buy stuff. We definitely came home that afternoon with our fair share of t-shirts, hats, and silver jewelry. We also participated in a competition called “Name That Movie”. The DJ would play 3 seconds of a song and you’d have to guess what movie it was from. The winning movie was guessed by yours truly (Dr. Zhivago). 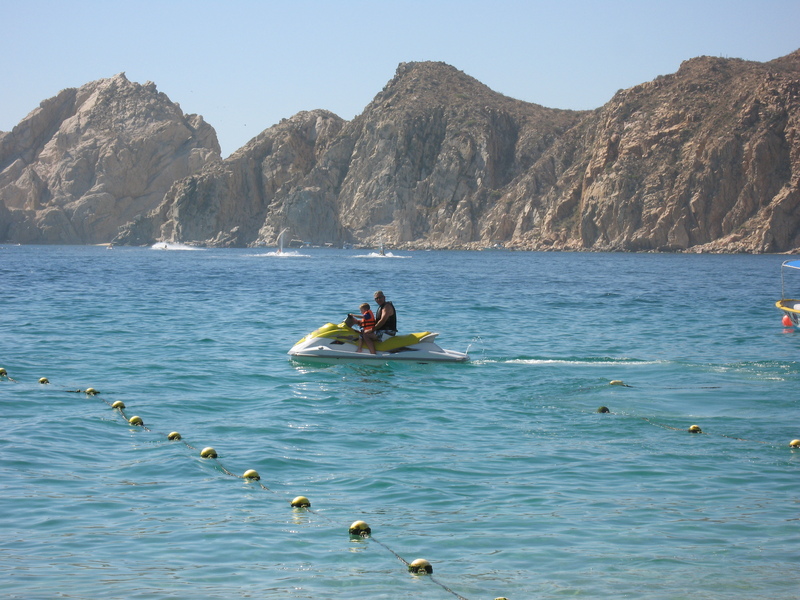 Of course, when the prize winning bucket of beer and tequila shots were delivered to our group, hubby and I were off checking out the Arch and Lovers Beach on a jet ski. Unfortunately FMS had reared its ugly head that day and even with a *little* bit of alcohol, I only felt well enough for a 10-minute ride. Thankfully our 3-yr-old grandson is fearless, so he finished up my ride with his grandpa. Day 7: The guys were off again by themselves early this morning to try their hand at fishing. When all was said and done, we had 2 Tuna, 4 Halibut and 1 Red Snapper. Since the penthouse had a BBQ on the patio, we had quite the fish feast for dinner and the men were all smiles that they *provided* dinner for the evening. That afternoon when they’d returned from fishing, the resort had a beer drinking contest and not only did my step-daughter beat out her husband, but she beat out everyone and won! Her daddy was so proud. 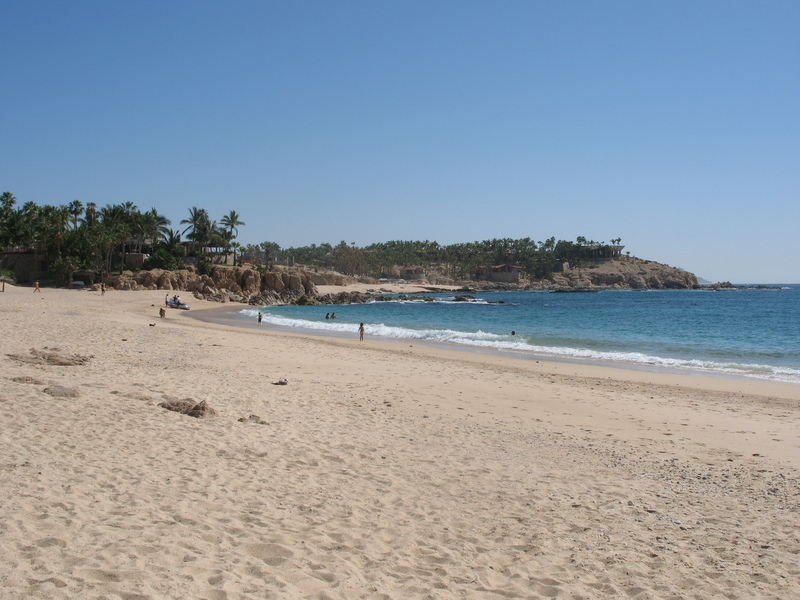 Day 8: For whatever reason, we got a late start and only got to spend a few hours at Chileno Beach. This beach is by far the best in the area and we collected lots of sea glass, saw tiny black crabs climbing the rocky areas, and wished we’d had time to snorkel. 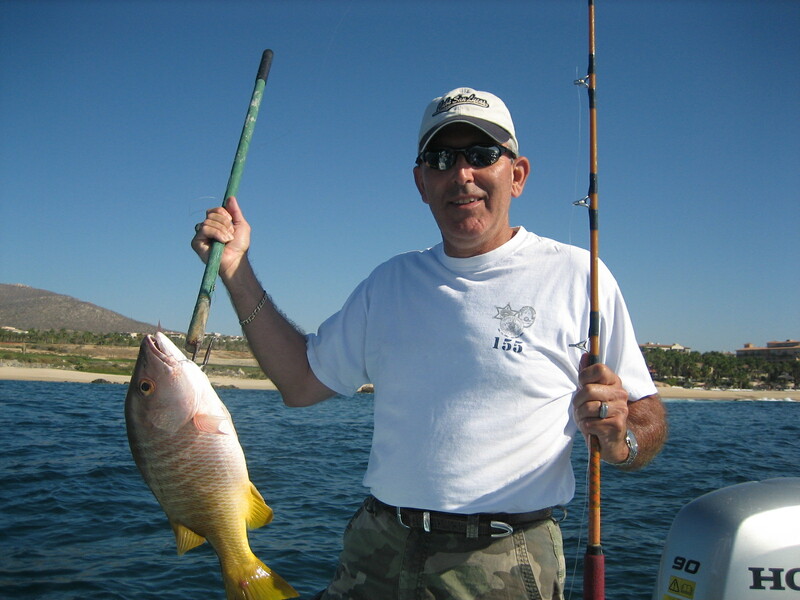 There are a lot of amazing fish to see in that water and we will definitely make this beach a must-visit when we return to Cabo in the future. In the afternoon we went shopping at the town closest to us, San Jose del Cabo. We had a great time going through all the shops and was caught off guard a bit by all the Dia de la Muerte items for sale. I know it’s a big part of Mexican tradition, but it was still a bit surprising. 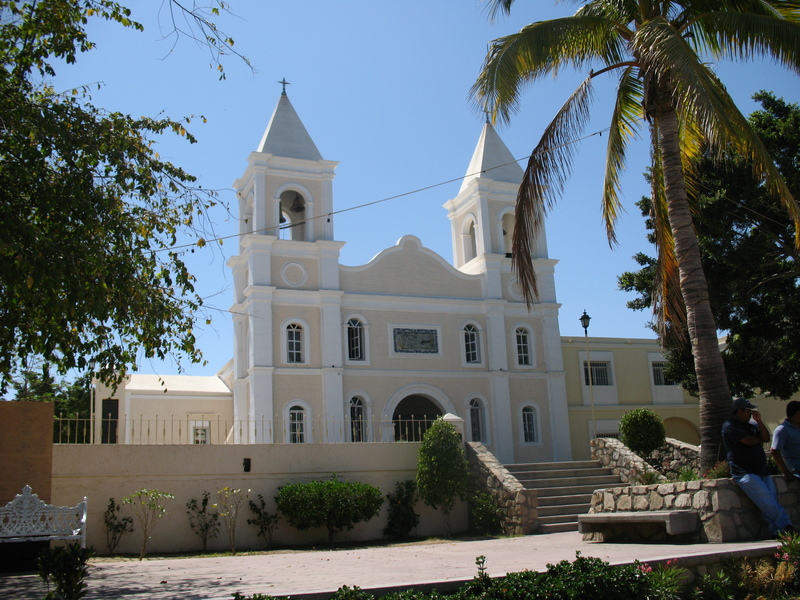 Mixed in with the local downtown shopping area, was the Mission of San Jose del Cabo Anuiti which was founded in 1730. But our best find of the day was the Tropicana Inn. This is a beautiful hotel and restaurant with absolutely amazing food. 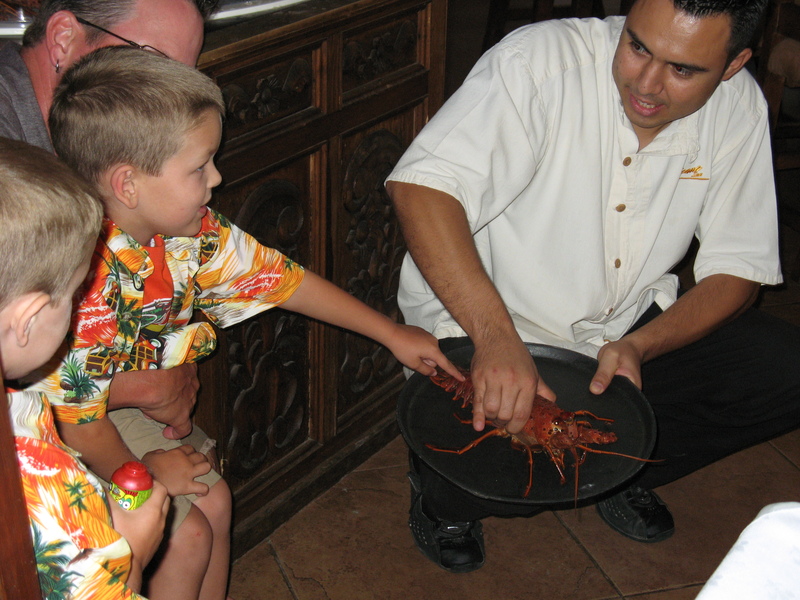 The grandkids were fascinated by the lobster tank in the center of the restaurant, but only the eldest was brave enough to touch one. Day 9: Today was my son-in-laws 40th birthday, (so weird that he’s a year older than me), so the morning was spent at the pool and the afternoon was spent in Cabo San Lucas for shopping and dinner. He requested to have dinner at Mi Casa, the same restaurant he and his wife ate at when they came here for their honeymoon. to the huge margaritas that are the best I’ve ever had. 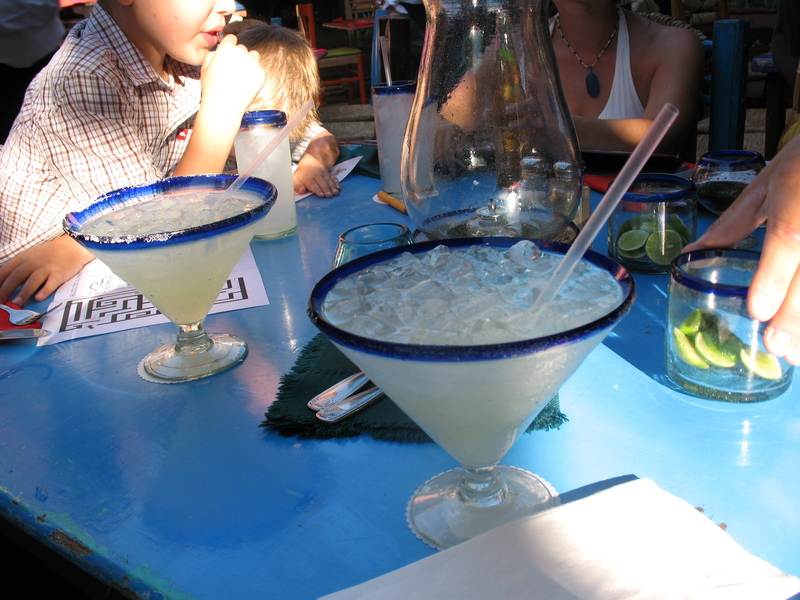 And believe me, I’ve had my fair share of margaritas during my life. 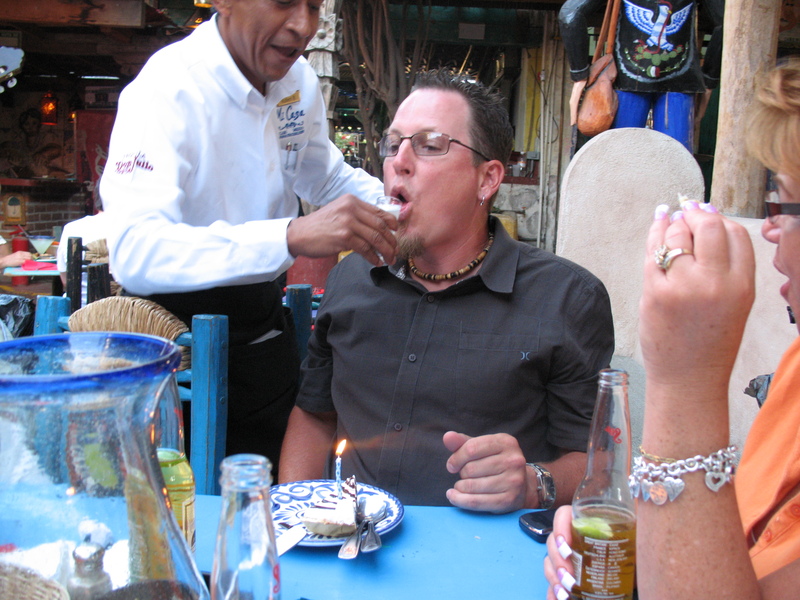 Not only was our son-in-law given birthday “cake” for dessert, but they also poured a shot of I-don’t-know-what down his throat and then shook his head a few times. It was a wonderful evening of good food and drinks with family and I’ll never forget it. 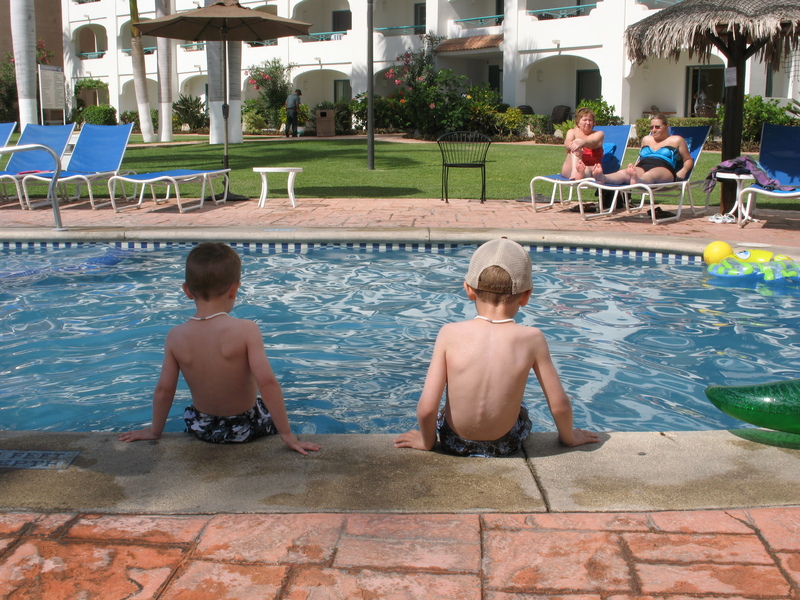 Day 10: That morning we spent watching the grandkids play in the pool, and that afternoon we found ourselves saying goodbye and headed off to the airport. It was a wonderful vacation, but I must say I missed my dogs, my home, and my spinning wheel. So if you don’t see me around the blogs for a few days, you know where I’ll be. I just wanted to give you all a quick post to remind you that I’m leaving on vacation (in 6 hours) for ten days and I may or may not have internet access. If I do, I’ll probably tease share with you a photo or two of the beach or a tropical drink or my toes in the water. If I don’t, then things will be pretty quiet around here or awhile. That reminds me, my airplane knitting will be this lovely skein of yarn. If you like knitting with laceweight yarn, or are interested in trying it, you must get your hands on some of this. 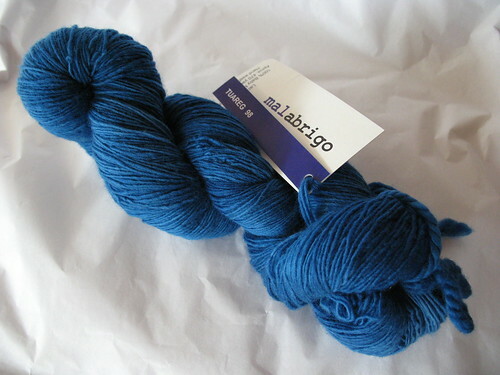 It’s Malabrigo Lace and if you’ve ever knit with Malabrigo before, I promise you’ll love this just as much … maybe more. Each skein is 470 yards / 50 grams and although I know The Loopy Ewe carries it, they didn’t have the colorway I wanted, so I purchased mine from Twist. I recommend both of these places without hesitation. They really know how to put the customer first. This particular colorway is Taureg and I’m using it to test knit another stunning stole design by Laura. I’m so lucky. There’s so much to share with you regarding Stitches West, but I’m going to break it up into several posts so I don’t overload your systems with photos. We left the house Thursday morning and drove from Southern California to Northern California. We were lucky enough to be staying at the Santa Clara Hyatt Regency hotel which is attached to the Santa Clara Convention Center where the Stitches classes and shopping are. The hotel is very nice as are the rooms, but it seems like they tried to make everything a little bit contemporary which made for poor room functionality. 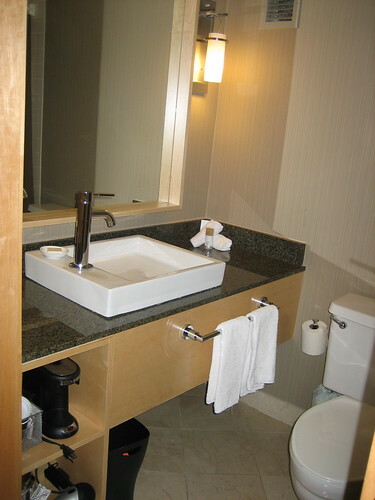 The bathroom had a wonderful shower curtain rod that bowed out so that you felt like you had more space in the shower, but the sink in the bathroom had the faucet mounted to the left of the sink which turned out to be very awkward to use. After getting settled into our room, I went to the hotel lobby to meet up with a Laura and a few friends from the Anaheim Hills Knit Night on Mondays, so that we could attend the Ravelry meet-up together. Actually if it weren’t for Ravelry, there would not be a Monday knit night with these incredible women. 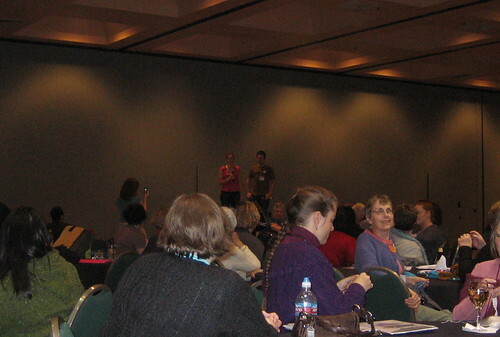 It was interesting to see so many Ravelry users in one room, and I loved finally seeing Jess and Casey in person (from obviously a distance). The only downside to the event was the cash bar. Obviously nobody told catering that knitters do indeed drink, and so there was only one small bar with one bartender. There was a continuous line for that bar for at least an hour. I felt so sorry for the bartender. After the Ravelry meet-up I met my husband at the hotel sushi bar for a bite to eat to fortify myself for the 3 hour shopping spree I was about to participate in. The area was crowded, understaffed, and slow as mud, but luckily the sushi was quite good. We finished dinner just in time to race to the market area to meet up with friends. Most everyone was stopping at the Raverly booth first to pick up their Passports (more detail on that in a future post), but hubby went there for me as I raced to the Blue Moon fiber Arts booth. I grabbed a lot of skeins of lightweight sock yarn as I made my way through the mass of knitters in the booth. Since the purchase line was really long hubby waited in line for me while I figured out what I wanted. I think there were 7 skeins of yarn in my hands when I met up with him, but when I saw there will Mill Ends for about $7 less a skein than the regular skeins, I dumped most of the yarn I had and grabbed 3 skeins of it. I handed hubby enough money to make the purchase for me, and then told him I’d meet him at the next booth. Do I have the perfect husband or what? 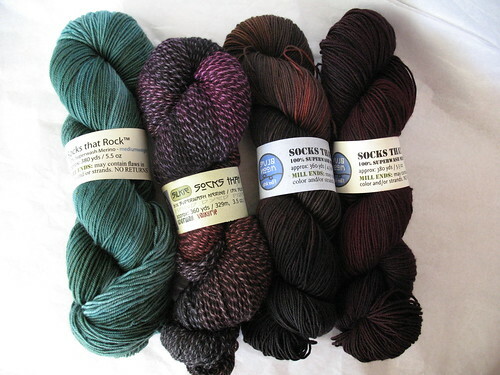 I ended up with 3 skeins of Socks That Rock Mill Ends (1 skein of lightweight and 2 skeins of mediumweight), and 1 skein of Socks That Rock Silkie in Valkyrie. I just noticed yesterday that the Blue Moon logo is backwards on the labels and there are no colorways written on them so who knows what they are. I guess I’ll just call them gorgeous! Next, I was off to Purlescence Yarns to purchase the Tulip Baby Cardigan kit. It was a bit more money than I’d normally spend on a baby cardigan, but I believe I’ll be using the pattern over and over again since there never seems to be a shortage of women having babies. 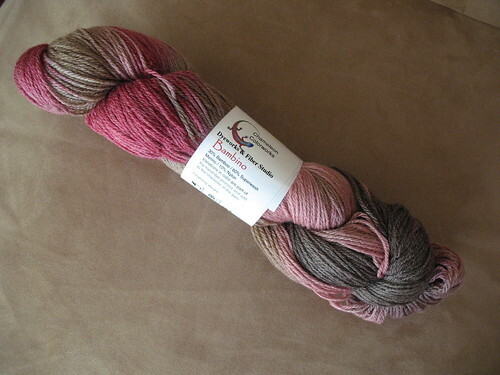 My final purchase for the evening was at Chameleon Colorworks for a skein of her beautiful Bambino yarn. I first saw her hand-dyed yarn at TNNA and instantly fell in love with the Twinkle Toes, Bambino and Evolution yarns. The Loopy Ewe just added the Bambino and Evolution yarns to her store today, so I suggest you get over there and pick some up. Believe me, you won’t regret it. The market was open for 3 hours, but frankly after only getting 3 1/2 hours of sleep the night before, I was too exhausted to continue on and wanted to rest up for my class with Cat Bordhi. I think I fell asleep the moment my head hit the pillow. Where do I begin? I know that many of you have been wondering that since the middle of November. 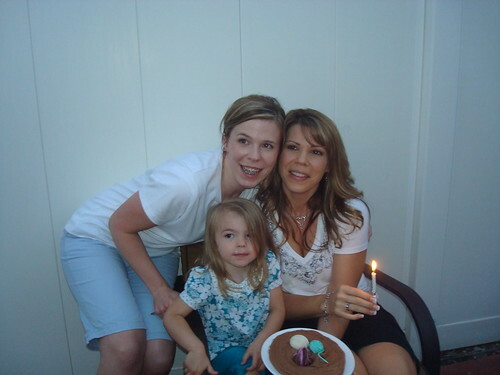 I can’t believe it’s been that long since I blogged. I kept meaning to, but it seems like “life” just kept getting in the way. I have been dealing with “stuff” (how’s that for vague) and my blogging & emailing seemed to be the thing that suffered because of it. Fibromyalgia: The medication I started 2 months ago is definitely working and all of my symptoms have improved by 50% or more. I still have some “bad” days, but they aren’t more than twice a week and it used to be four or five times a week, so I’m thrilled. I now feel like I’m in control, instead of the fibro. Knitting: I have been knitting quite a bit, and I definitely got a lot of knitting complete while driving from Southern California to Southern Idaho for “vacation” the week before Christmas. At one point, I was up to my elbows in scarves, hats, and gloves, but since all these items have been gifted now, I’ve realized that I missed out on photo documenting some of these items. I will try to get photos of the items I’m missing and post a holiday knitting recap as soon as possible. By the way, all of the knitting on the road was accomplished in our new 2008 GMC Envoy. This is what my husband wanted for Christmas, and since our mechanic stated my husbands car was only going to last another 3 months or so before we’d have to start replacing the major items, I reworked our budget so we could afford it. The evening we drove it home from the dealer, my husband had the same smile on his face that I last saw 4 years ago ….. when we got married. I’m still not sure what to think about that. Family: As I stated, we recently spent some time in Idaho to visit my parents, siblings and their families. The main point of the visit was to get a photo of all of us together which is only 20 people, but logistically, it’s still tricky to coordinate with every ones schedules. The photos went pretty well, but a situation presented itself that evening that really messed up the rest of the trip. I don’t want to get into the details here, but I will say that the thought of what happened still brings a pang of hurt to my heart. As a side note and personal recommendation, when you are hurt, upset, or mad, please take a moment and think before you open your mouth. Sometimes words said can be very hurtful and it can time a very long time to heal the wounds the words left behind. Enough said. It’s difficult to admit, but I was never so happy to leave and come home. It’s a brand spankin’ new MacBook Pro. “Yes Virginia, there really is a Santa Claus”. Now I can blog and email and everything else from anywhere. This hopefully means that you’ll be seeing a lot more of me. I’m still getting used to my new “toy”, so bear with me if I don’t get to all of your blogs this week. When I was visiting family for a week, each day I looked forward to stopping in at the Barnes and Noble bookstore since it had wonderful gift ideas, and it was the only place I could find decent coffee since my family doesn’t drink it. 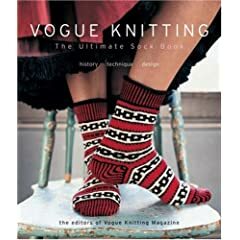 I flipped through this book several times and hinted to my husband that I would like it. He shared that information with one of my sisters who ended up gifting it to me. Yeah! I guess that’s enough of an update for now. Since I haven’t been at your blogs for over a month, I hope your holidays have been wonderful and I’d like to wish each of you a happy and prosperous New Year. For now, I best be getting around to each of your blogs and catching up on your lives.